The Gym, Health and Fitness Clubs industry is one of the booming business with a significant growth life cycle aspeople continue to be interested in exercise to boost their fitness and health. As we all know customers are the life blood for any business, thus efficient customer management is vital to your gym business growth.MioSalon is an online appointment scheduling software that keep track your of new customers as well as returning customers facilitated with appointment scheduling, automated customers reminders, payment options, and promotional campaigns. 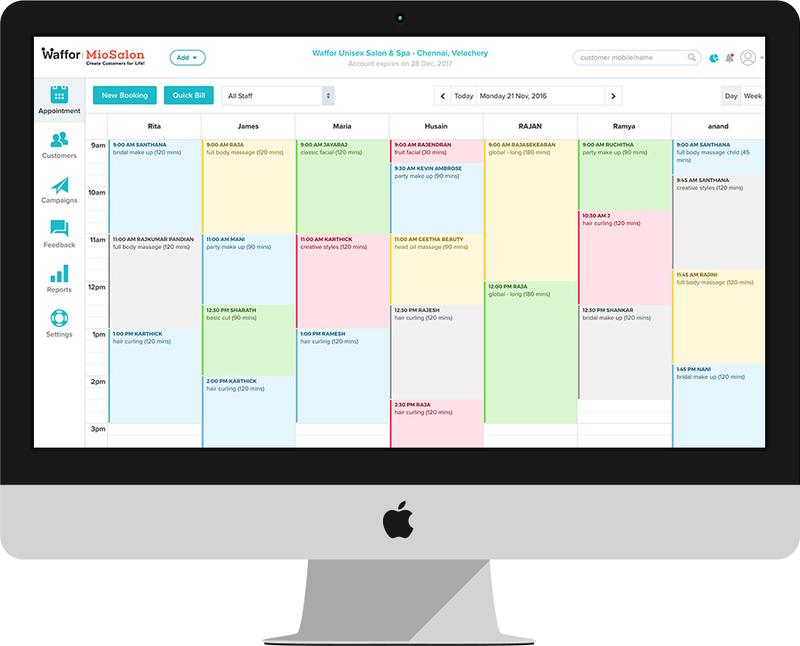 MioSalon Gym management software is a one stop solution that handles appointment booking, billing and customer retention marketing. Create a Free Account MioSalon gym software is an easy appointment scheduling and billing software for all typs of gym, health & fitness club.